Will Exercise Make You Hungry? Yes! But hunger is not a bad thing. The good news is that consistent exercise and muscle strengthening will increase your metabolism and therefore increase your hunger in the morning. 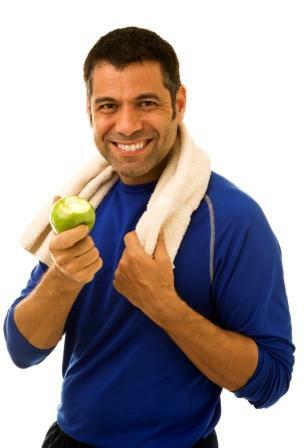 Studies show that after exercising consistently for 12 weeks, participants felt hungrier before breakfast. Feeling hunger in the morning is how your body was designed to operate! People who eat a healthy breakfast are usually the leanest and healthiest people with a lowered risk of diabetes. Studies also show that exercisers feel more satisfied and stayed fuller longer (for several hours) after eating when compared to non-exercisers. The more full you feel, the less you will want to overeat during the day. Exercisers felt hungrier in the morning – This is a good thing! Exercisers felt fuller longer (for hours) eating the same amounts of food they ate before they began the exercise program (exercisers don’t have to eat more food to feel satisfied). Exercise helps you to do a better job of gauging when you are full. Here are my two top favorite breakfasts. Turkey bacon, high fiber English muffin and an egg. The egg and turkey protein help to prevent sugar cravings later in the day by stabilizing blood sugar levels. The high fiber English muffin helps to keep your blood sugar on an even keel. Think of fiber as a speed bump in the your blood stream; it slows down how quickly sugar is released into the blood stream. Steel cut oatmeal, some flaxseed, blueberries and an ounce of walnuts. The fiber in the oatmeal keeps your blood sugar level. The protein and fat from the nuts help to slow down your digestion, which makes you feel fuller for hours.